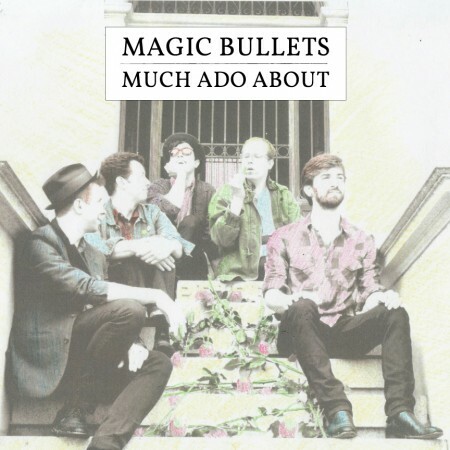 The San Francisco-based band Magic Bullets are set to release their new EP Much Ado About today on Mon Amie Records. Sadly it will be their last as the band has decided to break up to pursue new musical directions after seven years together. The seven-song EP is a lasting testament to their emotion-packed 80's-inspired jangle-pop. "Unlearned" opens the album with the nostalgic sound of a cassette tape being put into a radio and follows with an upbeat and danceable track of reflection. "Time And Again" features tumbling drums and flickering guitars with an infectiously catchy chorus. Stand out track "Common House Cats" is highlighted by a strutting bass line, vintage organ swells, some disco-leaning guitars and vocalist Philip Benson's crooning, Morrisey-like vocals. "Awful" is anything but with a slower pace and shimmering guitars and keys. The first single released, "What Took You So Long" features wistful melodies that float over the droning synths and jaunty rhythm. The soothing New Age-inspired "No Longer There" shows a different side of the band with layers of reverb-rich vocals and an ambient glow. The EP closes with the Cure-like melancholic joy of "If You Touch Her" and ends with the sound of a tape being taken out of the radio, completing the nostalgic cycle. 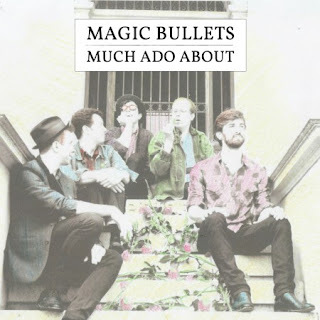 And if you still long for more after listening to the Much Ado About EP, then you should know that the core members of Magic Bullets have chosen to get back to their roots in the more punk-inspired band Terry Malts, whose killer debut album Killing Time was released earlier this year on Slumberland Records.